It is evening in Coffman Cove, Alaska, and the ravens near the ferry terminal are playing on the northerly breeze. Gymnasts of the air, they tuck their wings for a triple snap-roll or pull up into a hammerhead stall. Two ravens flying side-by-side turn and caw, then come together with feet toward each other. One rolls on it's back, ducking away from the other, and then spreads its wings and returns to level flight. I am in awe of their aerial skill. They play this scene over and over. Upside down in the air is just fine for ravens. It is social time, time to think about a roost for the night, and time to play. An eagle flies by, and what a great playtoy for the ravens! When it comes to raven entertainment pestering eagles is right up there with breaking into plastic grocery bags in the back of pickup trucks . The sun is setting, casting shadows between birds. The raucous raven calls thin out, fading into tree branches, and quieting for the night. They are out there; watching. They have something to say at you. 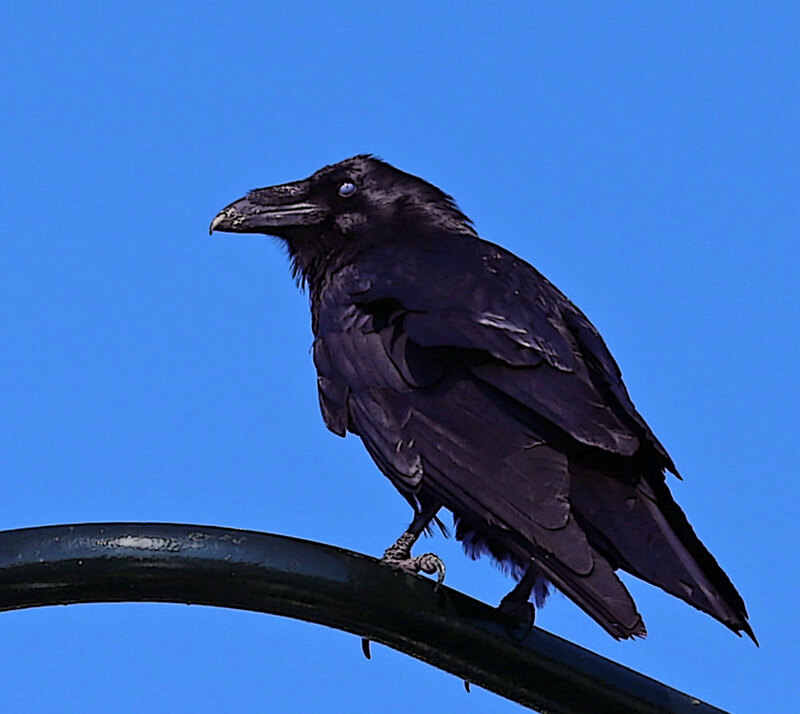 They are not the sleek, shiny, aloof ravens looking down at you from the roof peak. 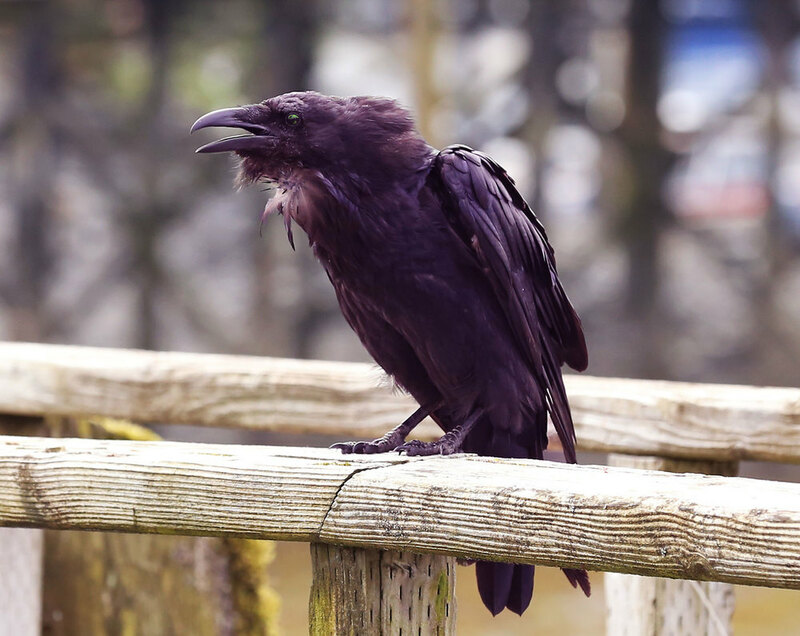 These are Halloween Ravens; gritty, tough, vociferous birds that lurk around old boats and rusty dumpsters. Their fingernails-on-blackboard voice scrapes at your eardrums. Their short migration makes them visible at the end of October. Don't look for them. They'll find you.